I just created another blog in vietnamese: hamyle.wordpress.com. If you are viet and you want to read my posts in viet, please check my another blog 🙂 Here is for my international friends. I just literally messed up two cakes yesterday 😦 While I tried separating egg yolks and egg whites, my dump skill messed everything up. There was a lil bit of yolks in egg whites, thus, the cakes became a big mess. In total, I wasted 10 eggs -_____- Commonly said ‘Practice makes the best’ but it’s also a waste of money as well…I tried not to think about those 2 cakes this morning so I decided to make other cake. 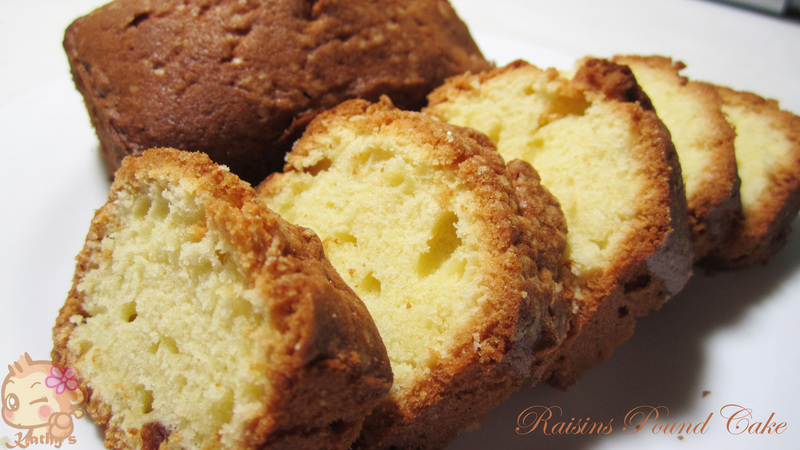 I found raisins in the fridge so I decided to bake Raisins Pound Cake.